So imagine for a moment that you're a traveling presenter, moving from city to city and making your pitch. Whether flying or driving, you probably want to travel light. The Optoma EW330 is a 2.5-pound, 2200-lumen WXGA projector that's dead simple to use and displays a bold, striking data picture. It combines the features of a much larger projector, such as an HDMI port and a laser pointer, with the portability of the sub-3 pound projectors. And the EW330 does not even require an external power transformer, as do many micro-portables. With street prices around $890, it is not the most affordable projector on the block, but its unique combination of features and performance make it a valuable tool for those who travel. Great data picture. 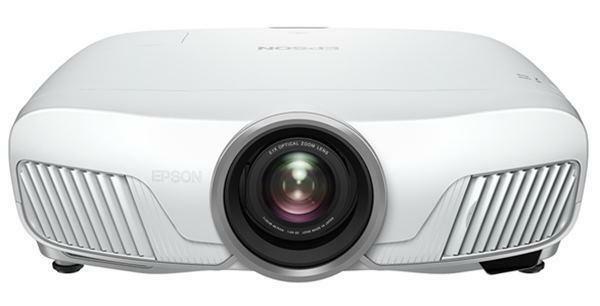 The big question for any portable projector like the EW330 is "how does the picture look?" We ran the projector through its paces with some common presentation material: a Powerpoint presentation complete with images and transitions and medium-sized text, a spreadsheet with charts and graphs and plenty of data, a text document, a video clip, and some photos. Powerpoint looked fantastic, especially when there was color involved. Text documents and spreadsheets were sharp and clear, though text smaller than 10-point tended to get muddled. Photos looked bold, with plenty of shadow detail and a very three-dimensional appearance, though color needs some fine-tuning for optimal display. After adjustment, color looks natural and life-like. The EW330 produces a sharp, bright, clear picture with bold, vivid colors, ideal for the sort of bright environment in which one would typically use it. Bright picture. For such a tiny projector, the EW330 packs a serious punch. Rated at 2200 lumens, our test sample measured 1976 lumens in its brightest mode, using high lamp mode and the lamp's widest angle setting. For the traveling presenter, this kind of light output equals freedom--freedom from having to worry about your presentation environment and the amount of ambient light in the room. If your presentation environment doesn't require quite so much light, the EW330's other image modes will serve you well. The next step down from Bright mode is Presentation, which features higher contrast and more saturated colors. It measured 1442 lumens on our test sample. Movie mode, with more defined mid-tones and a warmer white balance, measured 949 lumens. And sRGB mode, which had the best balanced picture of any mode, measured 571 lumens. Any mode can also have its output reduced by 24% by using low lamp mode, which can help split the difference between some of the higher output image modes.